Coming to Kickstarter from SHEL Games on April 18th is a fast paced, table slapping, card capturing card game. Card Castle is inspired by such classic card games as WAR & Slap-jack & is designed by Polo Schlemmer with art done by Sophia Haddax. At the start of the game the dealer with shuffle & deal out an equal amount of cards face-down to each player. Left over cards are removed from the game. This is called the Army deck. As players win cards they will form their own Reinforcement deck. When the Army deck runs out, the Reinforcement deck will then get shuffled & will replace the Army deck. At the start of the game, the player to the right of the dealer will go first in the first battle. The attack value of the top card is very important to the next player. The next player will then flip cards to attack the power of the first card drawn. They must flip cards with a combined power to beat that card. That last card drawn is now the new top card & play passes. This continues until a “Slap” card is flipped over. When a “Slap” card is revealed, one player must be faster than the others to capture this card. These cards will be doubles of the same card, Doors, & Wizards. The Door card gives the capturing player the ability to stop Army units from breaking down the Card Castle door. And the Wizard allows the player to summon any one card from their Reinforcement pile. Players must watch out for miss-slaps & miss-flips. Miss-slaps are when players get a little enthusiastic & try to slap a non-slappable card. A player that miss-slaps something must remove the top card of their Army & place it face-up underneath the Card Castle. Miss-flipped cards are placed face-up to the bottom of the Card Castle. There are also two Dragons flying around somewhere in the deck. 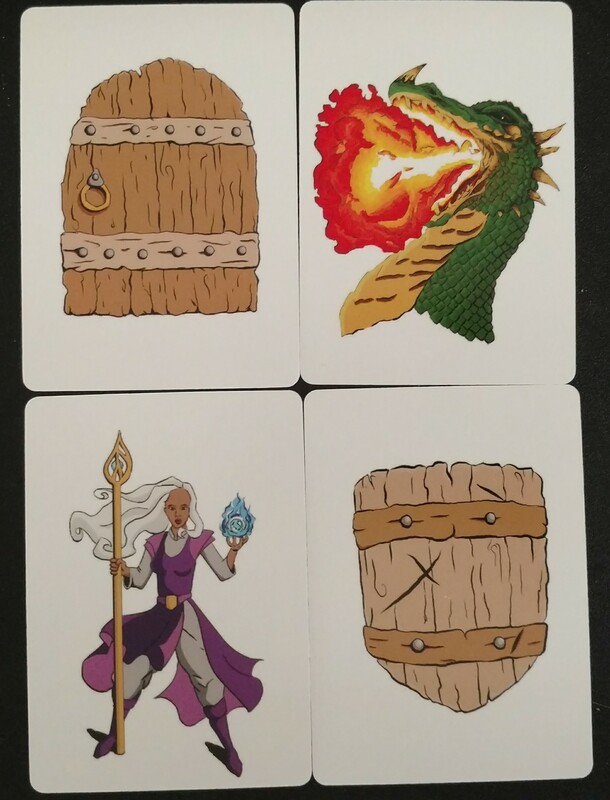 If a Dragon is drawn then all cards in the Card Castle are destroyed & discard from the game. 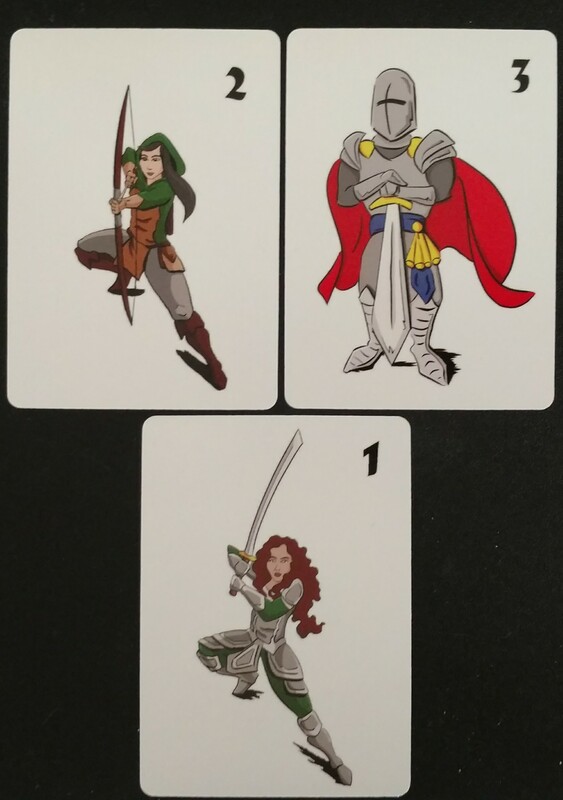 The last player with playable cards will be the last Army standing & will win the game. So I have played many a slapping card game. These can be fun & could be dangerous. I think it really depends on the age level of the player. Card Castle allows each player to be pitted against each other building up their Armies to win the game. I really enjoy the battle aspect of the game. Slapping does come relatively fast. Card Castle makes a fun family game. Kids get a chance to be active in playing a card game. This is definitely a game of hand-eye coordination. You can back Card Castle here: Card Castle. This Kickstarter project will be around until May 18th. First tier for $15 will get you the game & all unlocked stretch goals. For $25 you could back the Deluxe version which will get you the game & an exclusive playmat for the game. Just be sure to be careful slapping the cards. You wouldn’t want to wound yourself during a game.